Home » Stop Diseases » Could Coffee Be Preventing You From Conceiving? When Kevin and I first decided to start a family I thought getting pregnant would be pretty easy. Even though I’m 37, I know I’m super healthy and that my mother and her four sisters all had children in their late 30s without issue. I figured that despite my chronological age, biology would still clock me in under 30 (later fertility testing actually showed this to be true). Still, after several months of trying it didn’t happen and I started to become concerned. Had we waited too long? At that point we started to get more serious. First I made my husband cut out his twice weekly sauna sessions (fun fact: it can take 3-6 months for sperm counts to recover after intense heat exposure). I also started using at home ovulation test strips and learned that the app I had been using to track my cycle was off by nearly a week in predicting ovulation. Oops. When neither of these fixes resulted in pregnancy by the end of a full year of trying we decided it was time to run some tests to see if something was biologically dysfunctional. We both went through the usual battery of fertility tests and learned what we thought we already knew, which is that both of us are really healthy (not just “for our age”) and capable of conceiving. This was great news, but also disheartening. If nothing is wrong, then why isn’t it working? It was shortly after this that we got a wonderful update from our friend Dr. Rhonda Patrick from FoundMyFitness and learned that she was expecting. Rhonda is the queen of nutrition and anti-aging hacks, and is one of the few online sources I really trust for solid scientific nutrition information. When we told her we had also been trying to conceive, she casually mentioned that she “just gave up coffee and BOOM!” got pregnant a couple of weeks later after trying for 10 months. 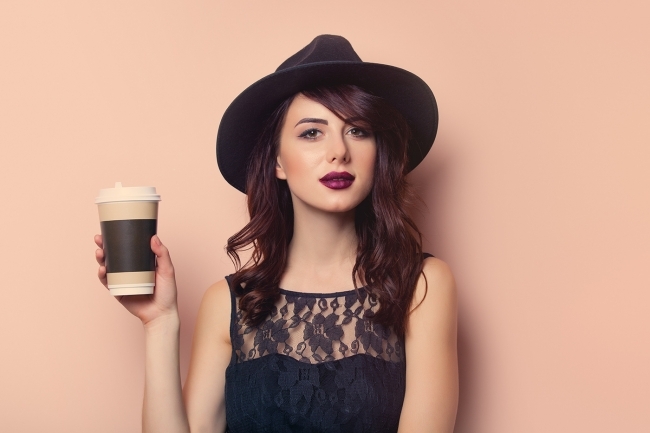 She said she had stumbled onto some research that caffeine, and especially coffee, increases risk of spontaneous abortion that may happen even before embryo implantation. What?! Why had I never heard this before? While I don’t drink a lot of coffee, I usually have one (pretty strong) cup each morning. After digging around a bit in the research myself I learned that indeed high doses of caffeine increase early miscarriage risk, and that coffee (even decaf) seems to be more of an issue than tea or other caffeinated beverages. Regular coffee intake by men may also decrease likelihood of a successful pregnancy. I found this fascinating, but not particularly good news. I’ve been drinking coffee pretty regularly since I was 15 and was not excited to give up my habit. I’d feel extra bad making Kevin give it up as well. As a compromise I switched to green tea at the beginning of my next cycle, vowing to give that up next time if this wasn’t enough. Then BOOM, I found out I was pregnant four weeks later. I couldn’t believe it worked, and was actually pretty convinced it was a fluke. But I couldn’t keep the secret from my childhood best friend who I knew had also been trying to get pregnant for even longer than I had. I was certain she was drinking coffee (we were hanging out at cafes at 15 together, after all) so shared my secret. She was also reluctant to give up her morning brew, but went off caffeine completely at the start of her next cycle and got pregnant right away. She’s due in January. I’m very aware that this is anecdotal evidence backed up by some intriguing, but not fully conclusive, science. Obviously coffee and caffeine are not the only factors in fertility, and there are certainly women who can conceive while consuming it and those who can’t conceive but have never touched it. But I’m also a bit blown away by how well it has worked for myself and friends this year, and there’s virtually no risk in giving up coffee for a couple of months if you’ve been struggling to conceive. It’s certainly cheaper than IVF, which you should probably give up coffee to do anyway. For myself I continued to avoid coffee through the first trimester. Once I was a couple of weeks into the pregnancy this was easy, since it both smelled and tasted horrible to me. But a few weeks into the second trimester my nausea turned into headaches and coffee started smelling and sounding good again. I let myself have a cup every now and then, and have slowly ramped up over time without issue. (If I’d had a history or miscarriages or other sensitivities I probably wouldn’t have done this). Before trying to get pregnant I had never heard that coffee or caffeine increased miscarriage risk or made conception more difficult, and it was not mentioned to me by my doctors at the fertility clinic. To me it seems like knowledge worth sharing. What’s your take on coffee and pregnancy?